I understand that 18th Century shoe polish was called Black Ball, but I don’t know anything about it. Anybody know how to make it? Apply it? 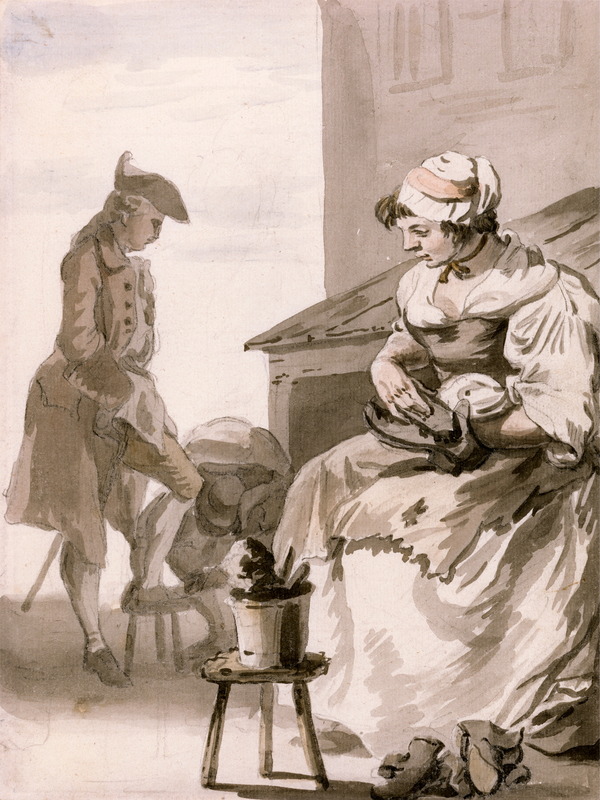 Nice picture of everyday life in mid-18th century. Apparently a couple of street vendors trying to make a living. Thoughtful and touching. Thank you. I have started a Pinterest folder for my persona for reenactments. London Cries was just what I’m looking for. Is it okay that I pin pictures from the blog? Yes, sharing to pinterest is good.